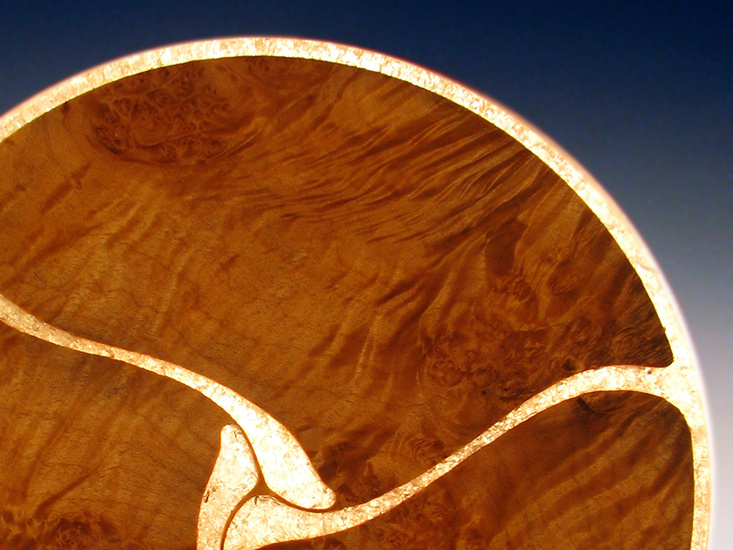 Materials: Curly-figured bigleaf maple with inlaid minerals. Finished with musical-instrument lacquer. 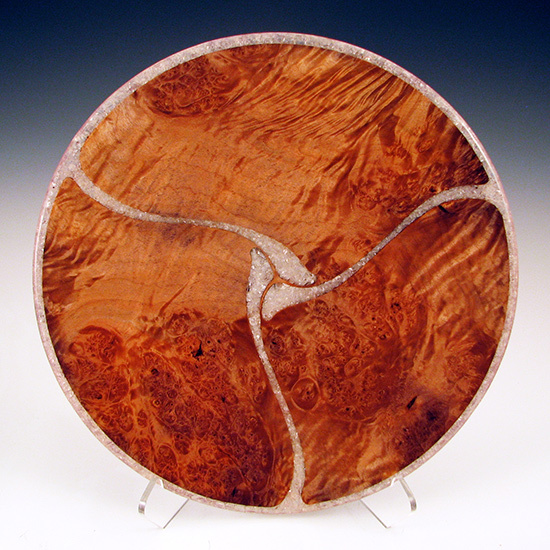 Comment: This is my first successful effort wherein the platter was almost cut into sections (not separated), then rejoined using clear calcite in epoxy. It is one piece of wood with elegant translucent partitions and rim.